On May the 11th we celebrate International Mother's Day. Although here in the UK we celebrated Mother's Day at the end of March, for the rest of the world May 11 is when we get to say thanks to Mum for all the hard work and love she has given us growing up. Sometimes it can be hard to find a suitable gift for Mum, do you buy something for the home? A new cd? A movie? A restaurant meal for her and Dad? One of the timeless presents that's been given as a gift to Mum for decades is a bouquet of gorgeous flowers. What better way to show how much you care than with a bunch of roses or tulips to brighten up her home. Here at Clare Florist we have a special range of Mother's Day Flowers featuring a great collection of wonderful fresh flowers that she is sure to cherish. The Thanks Mum! Bouquet is a fantastic bouquet hand designed by our expert florists. This bouquet is full of lovely spring garden flowers including; roses, germinis, lilies, iris, santini and alstroemeria, upon green foliage. This bouquet is perfect for sending to your Mum for Mothers Day and can be arranged for delivery to anywhere in the UK. 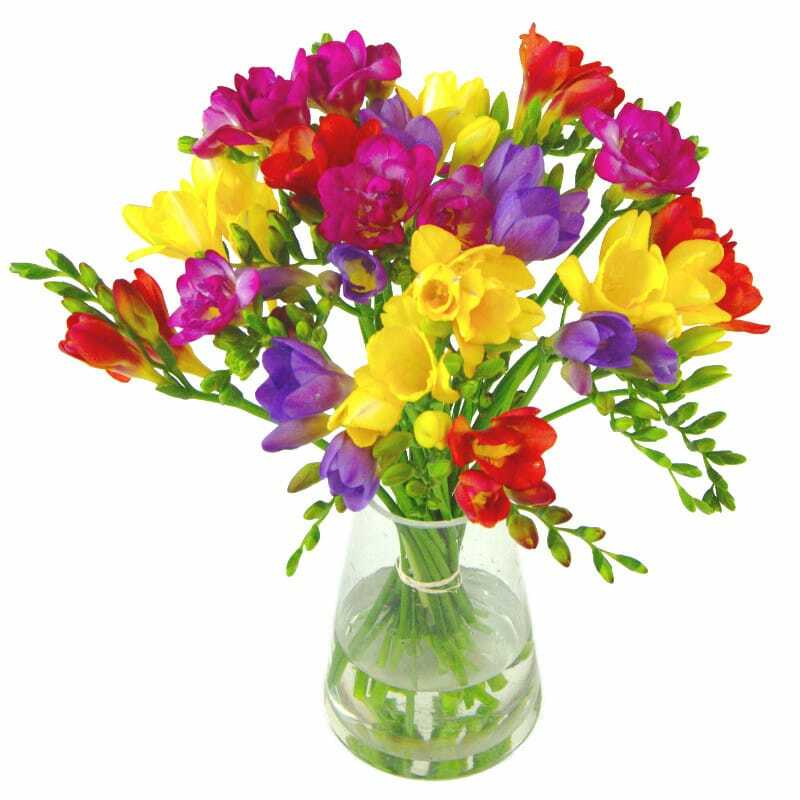 The vibrant colours of our Scented Freesia make it a stunning flower for Mum. Purple, yellow and red blooms make this an eye catching sight around the home. Freesias are renowned for their fragrance and we don't call this bouquet 'scented' for nothing: they give off a lovely aroma to fill your home. 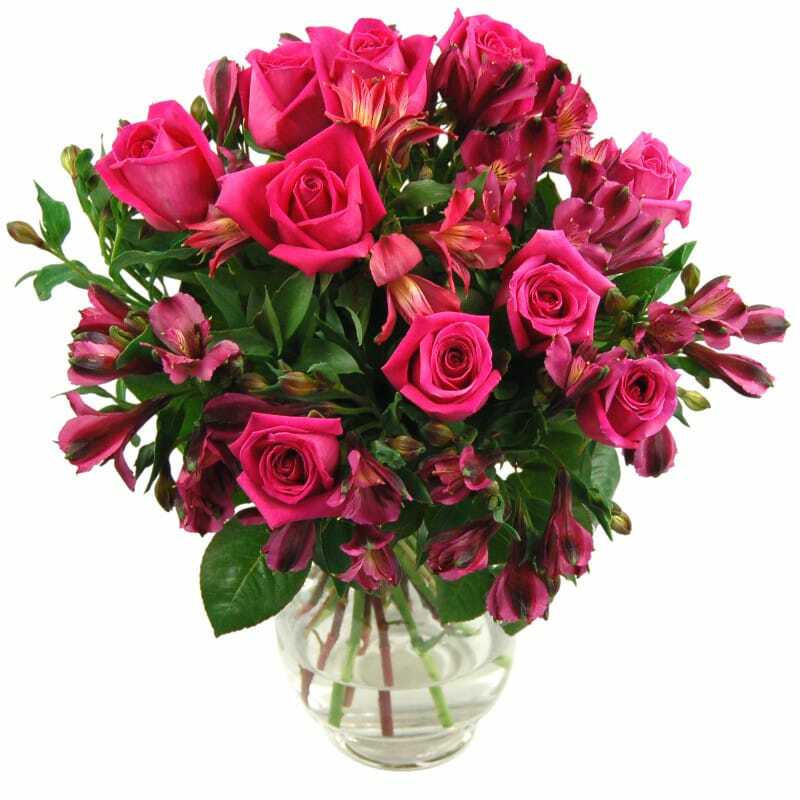 This splendid bouquet of warm pink roses and alstroemerias is an ideal flower for your Mum to cherish. The soft pink tones with the intense green leaves makes this bouquet an attractive choice for the home. 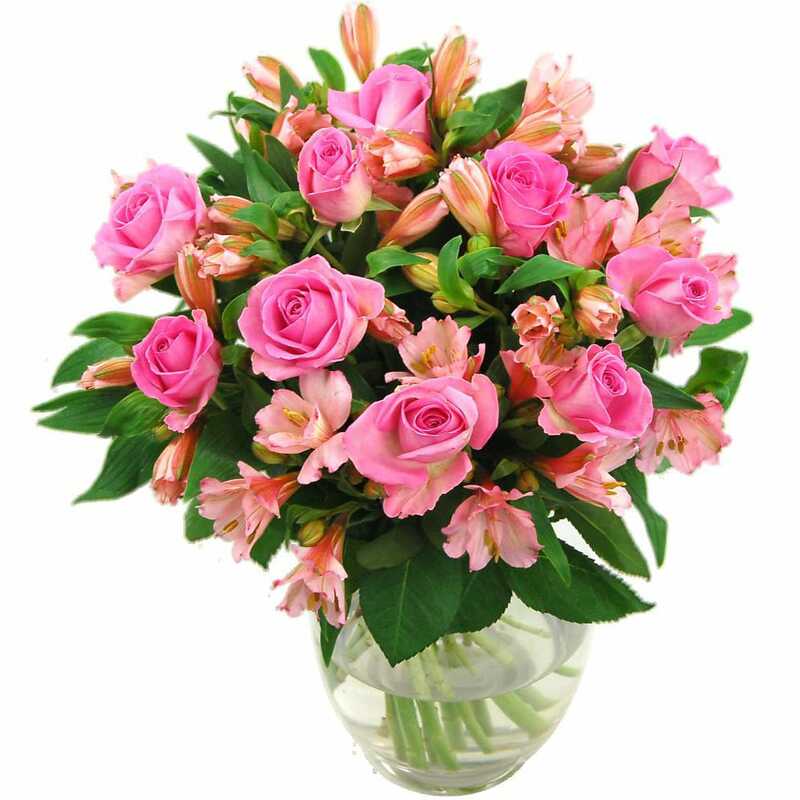 This bouquet is filled full of warm pink roses and delicate alstroemeria. 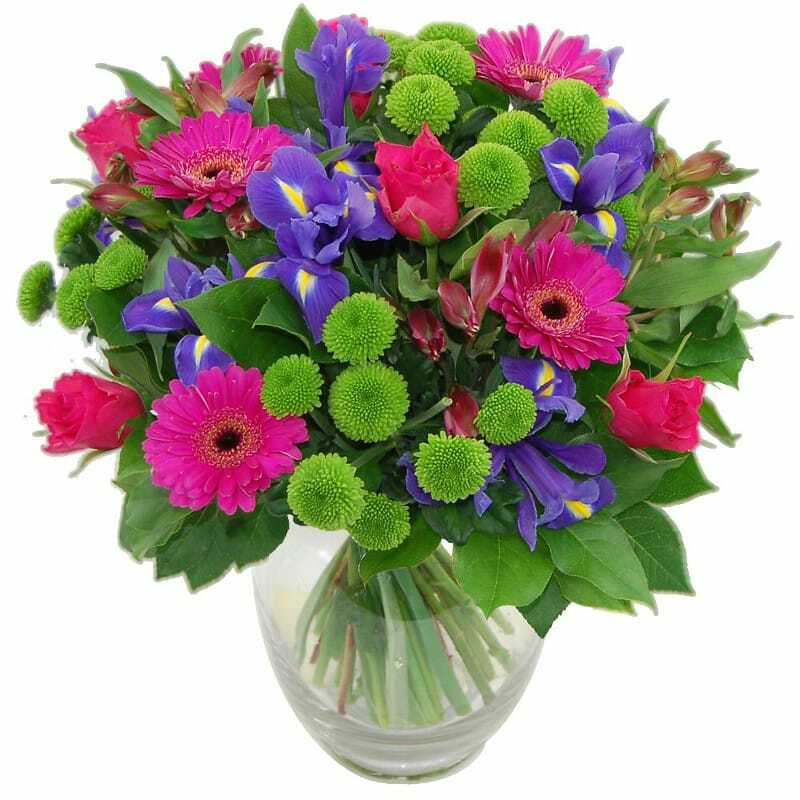 The soft blend of colours make it an alluring and appealing bouquet to send to your Mum this mothers day. Thanks for sharing such a beautiful bouquet. There are many way to say thanks to mom and this is the best way to give a such beautiful flowers. Thanks for sharing such a nice bouquet picture. On mothers day this is the best way to show your love n respect.